How to draw sorcerer. 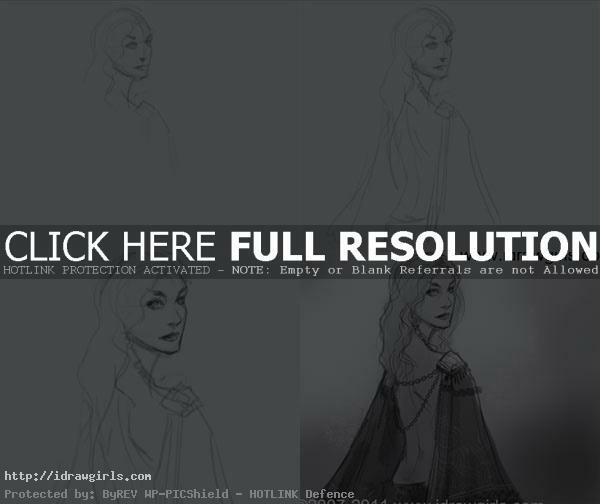 Learn how to draw fantasy character concept design a sorcerer or elementalist. In this tutorial, you will learn to draw from video tutorial and step by step image. Here you will learn from drawing a rough figure first, then we will design her sorcerer costume design and color scheme. A sorcerer is a person who seeks to control and use magic powers like a wizard or magician or sometimes witch. Though sorcerer is believe to lean more toward light magic rather than dark art like witches or necromancers. Sorcerer usually appears to be fantasy magicians have powers arising from either study, innate talent, or by having them granted by another source. Most fantasy wizards are depicted as having a special gift which sets them apart from the vast majority of characters in fantasy worlds who are unable to learn magic. Watch the video tutorial how to draw sorcerer. 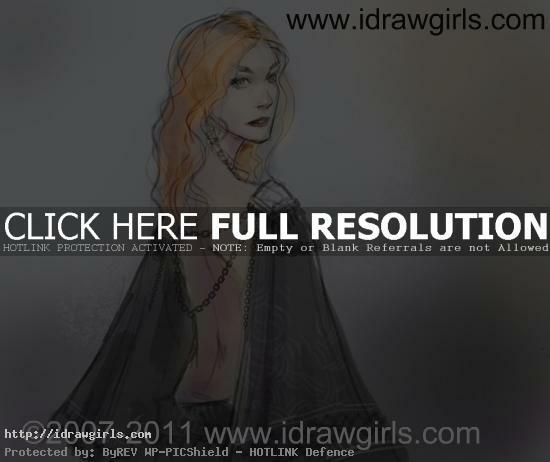 Below are step by step images how to draw sorcerer. Step one, I start of with her head shape, then arrange the construction lines for her face. Step two, I draw out her back, long hair, and drape hanging over her shoulder to start her gown design. Step three, I zoom in and draw her eyes, nose, and lips. Tips do not over draw on female face, less is more. It is more important to get accuracy on where to place eyes, nose, etc than over detail. Step four, now I can finalize the drawing by adding more detail on her hair, back and her sorcery gown.